Meet Steves brother Simon. For putting compression garments on and take them off without reaching your feet. 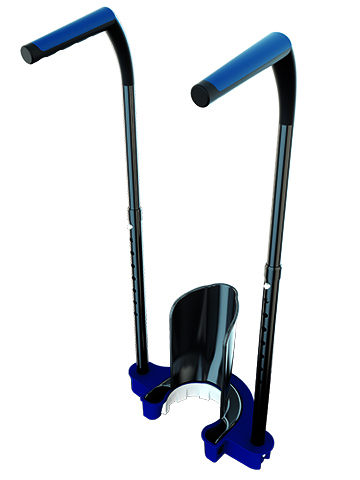 • Great if you have back problems, arthritis or hip problems. • Works if you cannot reach your toes. The Simon can be the difference between independence and dependence. In such cases, it is worth the cost. This device is Sigvaris version of The Steve. Same manufacturer, same function, just a different color, and design. To get the stockings past the heel by combining arm and leg strength. A good solution for removing stockings. When reaching the feet is a problem because of back, abdominal or hip problems. 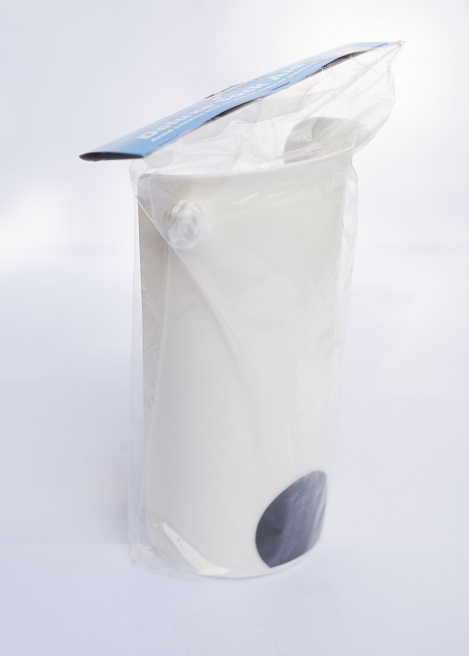 The long, sturdy and comfortable handles allows you to put on compression stockings without bending over. An excellent system for removing stockings without bending over. The curved shape behind the heel prevents the heel from getting stuck. Seems to work best with 20-30mmHg garments. We have seen it work with 30-40mmHg as well, but can be difficult at times. For higher compression garments, try Doff N Donner with the PikStick reacher. It does require some grip strength and coordination to load the stocking on the frame. Grip gloves do help. You do need some flexibility at the ankle to point your toes down. 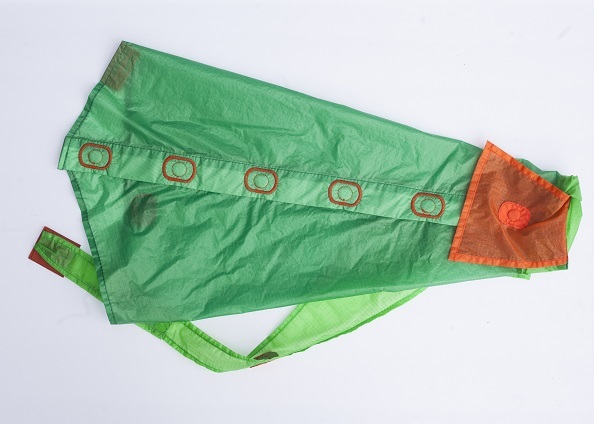 The Ezy As requires less ankle flexion but only works for putting the stocking on. Some customers have had an issue with the black middle removable piece popping out while pushing with the foot on the edge. Often it will pop back in if you keep pushing down but this can be a problem for some. For some, the problem is the opposite. The black middle piece can be difficult to remove for taking garments off. It will require some finger strength and coordination to remove the middle piece. The device can be used for removing stocking with the piece still in place if that becomes an issue. When removing stockings, if the ring does not snap in all the way, the fabric can stretch and slide between the plastics. We had one instance where it did damage to the stocking. 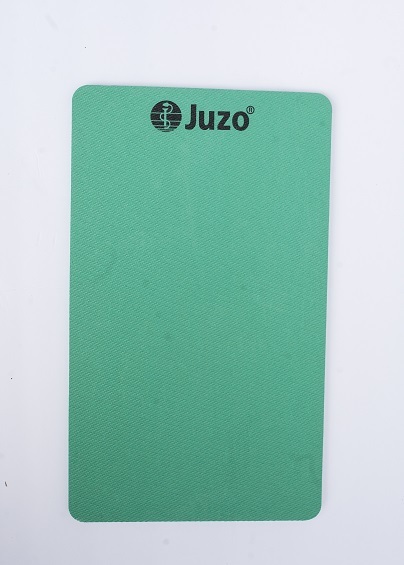 Juzo Easy pad for adjusting. Can be combined with Easy slide. To put on socks without reaching your feet. For sliding closed toe compression socks on. Portable and works great. Rubber mat for putting on and adjusting compression garments using the foot. 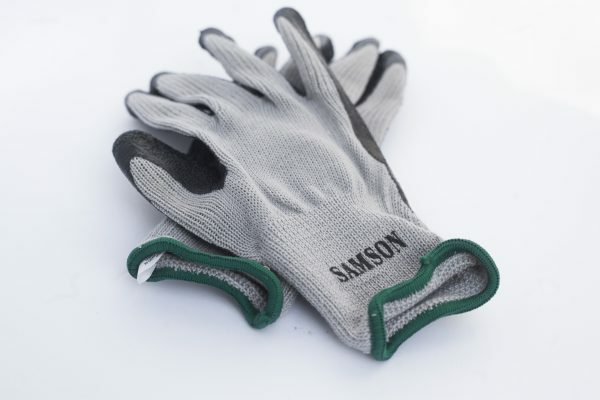 Grip gloves for putting on compression garments.